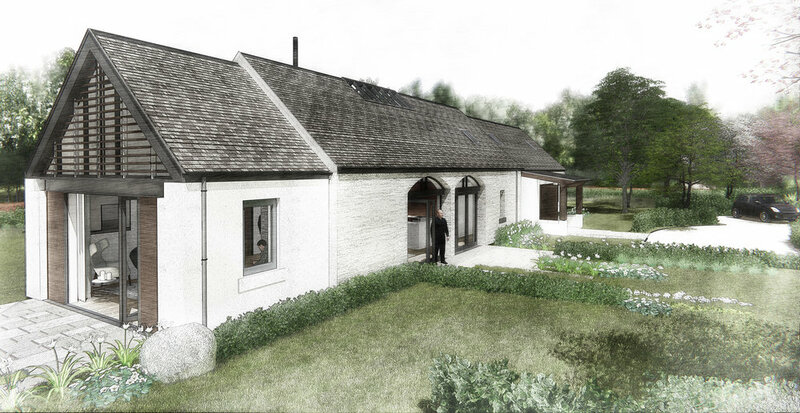 This project will create a new family house by conversion and extension of an existing brick agricultural building in the countryside near West Linton in the Scottish Borders. 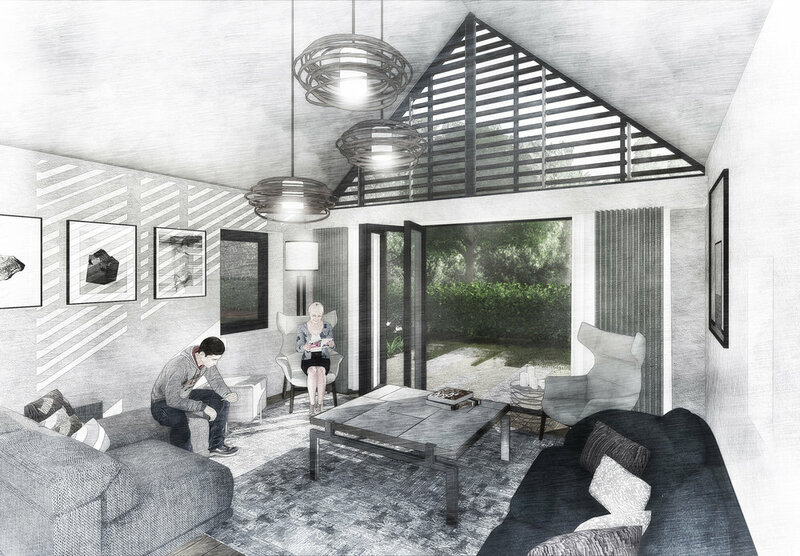 The design responds to the client’s desire for a new house which utilises traditional materials to create spaces which have the character of a contemporary barn conversion. 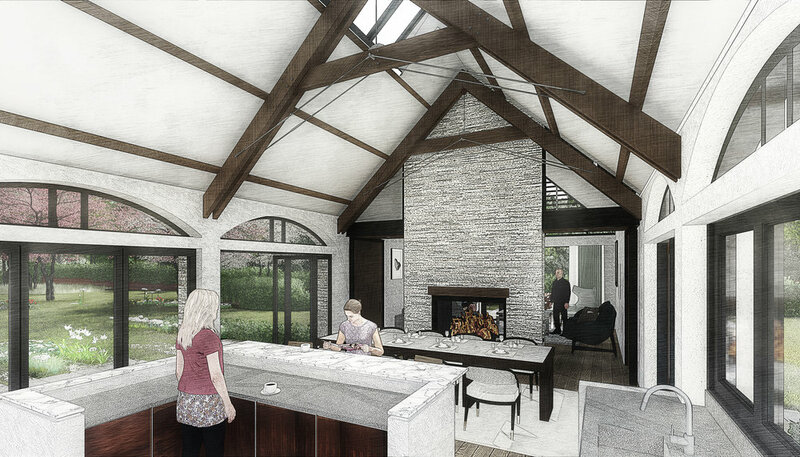 Entrance and living spaces benefit from a building section which is open to ridge level and include exposed oak trusses and natural light from glazed skylights. Open plan living spaces can be opened up to south facing gardens via large glazed screens set within new arched openings. Two of the four bedrooms are located on the first floor within the roof space and accessed via a gallery/bridge which spans across the double height entrance hall.